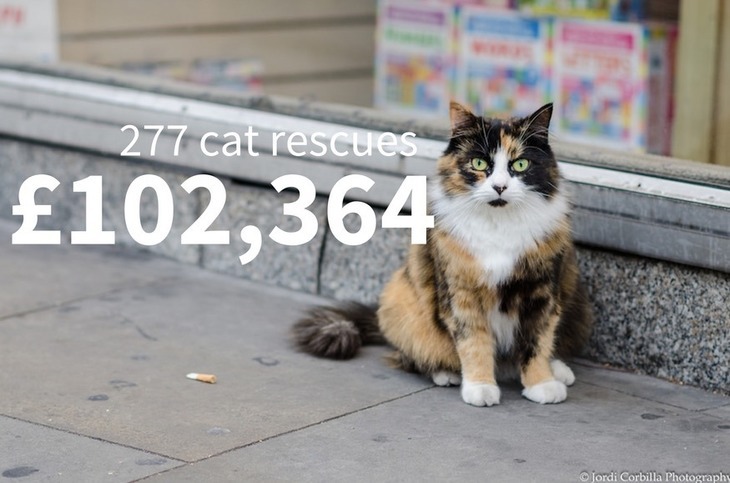 Rescuing trapped animals has cost the London Fire Brigade £202,466 in the last year, according to reports. London fire crews have rescued 542 animals, including dogs, birds, foxes and snakes, in the 12 months between July 2015 and June 2016. Cats are causing the most trouble: half the rescued animals are curious feline friends who've got themselves into difficulties. Source: LFB. Photo by Jordi Corbilla via the Londonist flickrpool. 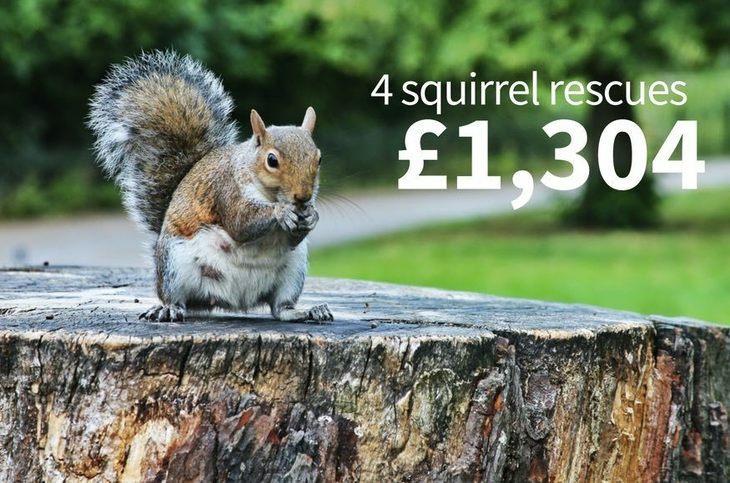 But cats aren't the only culprits: the brigade also spent £978 saving two hamsters and £1,304 rescuing four squirrels. Pet owners aren't charged for animal rescues by the fire crews. Source: LFB. Photo by Gary Etchell via the Londonist flickrpool. 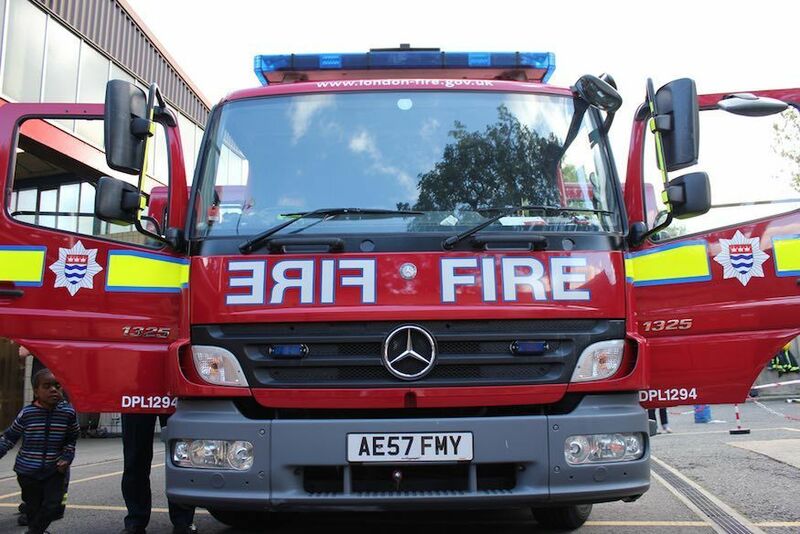 These figures show a drop of 20% in the call-outs for creatures in the last five years, but the LFB is keen to impress upon the public that this figure is still too high. The recent campaign, I'm An Animal, Get Me Out Of Here, which aims to stop Londoners calling the LFB for unnecessary animal rescues, is starting to have an impact. Source: LFB. Photo by Alan Habbick via the Londonist flickrpool. In 2011/12, firefighters were called out to rescue 650 animals. Since the campaign, these incidents fell to 526 last year; unfortunately numbers have crept up again to 542 this year. 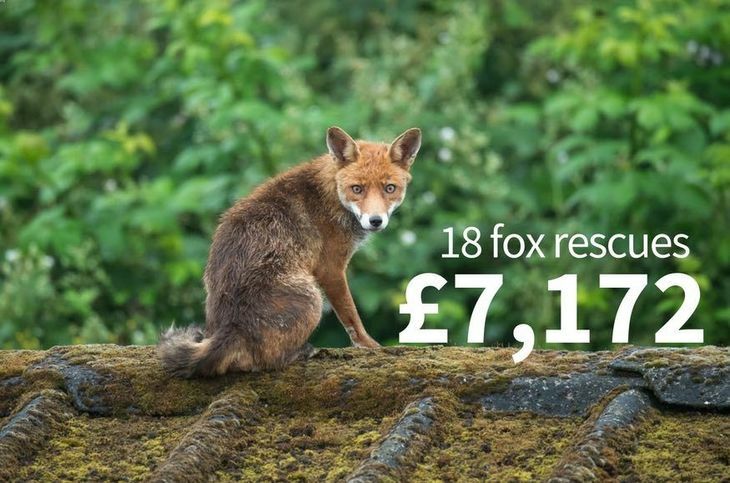 Fire chiefs think these figures are far too high; fire crews are currently called out to rescue an animal every 16 hours, at a cost of around £16,500 a month. London Fire Commissioner Ron Dobson, says, "If there is a cat up a tree, or an animal stuck anywhere, the first port of call should always be the RSPCA. "When firefighters are out rescuing animals, they're not available to attend real emergencies."